– Unlike other countries of the Balkan Peninsula, Montenegro was able to maintain its independence from the Ottoman Empire. From the 16th to 19th centuries, Montenegro became a theocratic state ruled by a series of bishop princes; in 1852. It has transformed into a secular principality and later it became part of the Kingdom of Yugoslavia. Montenegro is a nice small country in southeastern Europe; about 657,394 populations (July 2012). With the Nominal GDP (gross domestic product) $4.114 and the GDP PPP (purchasing power parity) was $6.590 billion in 2009. Montenegrins speak Serbian, Bosnian, Albanian and Croatian. Montenegro declared its independence from Federation of Serbia and Montenegro in 2006. 74% Orthodox, 18% Muslim, 4% Roman Catholic are in Montenegro; according census in 2003. Kaveh Taheri: Miss Jasmina Kalezic; As a Montenegrin teacher and children rights activist, what is your opinion regarding the education and the level of improving the awareness of the younger generation in your country? 1. Democratization and decentralization of the system, a new approach towards children and their parents, local communities, and economy, are planned. The school and education will not exist just for people to have a place to work in, or for the state to have someone to control over. But it will be there for new generations to be informed about everything that Europe has to offer. 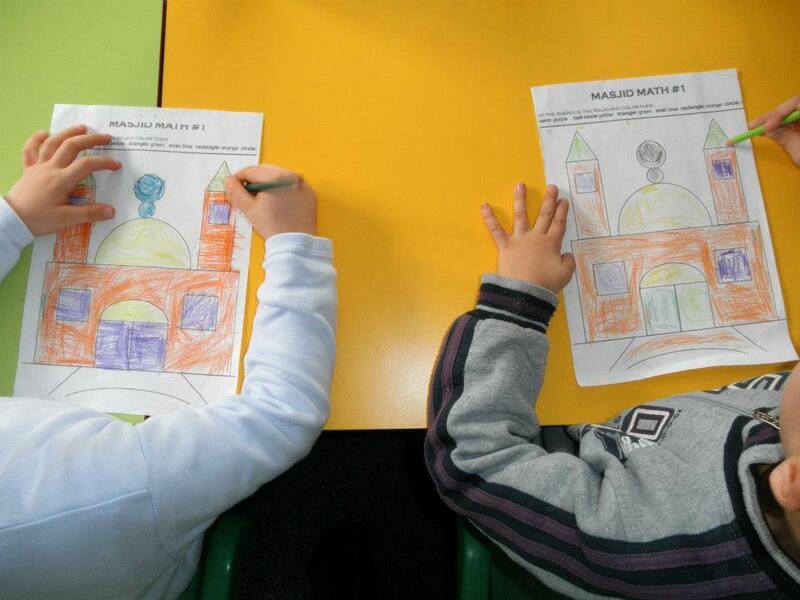 Here, the focus would be put on the structure and context of an educational programme. The developments of efficient systems for monitoring the quality of scholastic achievements, at national level which are not exist at the moment. Therefore, it is not possible to keep evidences and make comparisons with education systems in other countries in order to constantly improve all its segments. Also, this includes, developing of integrated professional system of teacher education and professional development through modernizing pre- service teacher education. 3. The reorganization of the schooling system in accordance with the need to efficiently contribute to the economic revival of the country, and also democratic development, and that European integration. Also, I must point out something important, a “good” education–one that contributes to the positive development of a human being–is always rooted in relationships. In fact, the things we most value in a democracy–participation, community, contribution–are also about relationships. I believe the purpose of education should always be creating good citizens. People who will be productive, but also good family members and neighbors, informed and engaged community members, civic-minded participants in making the immediate world a better place. The skill set for good citizenship, and the curriculum to lead youth in those positive directions does not, of course, align with what we are teaching in schools. As the world is changing rapidly, so should the past reasoning behind the present educational systems be challenged? In a world that needs to be saved from history’s´ effects like war, global warming, poverty, religion’s ideology, hyper-consumption, etc. …Today’s education (both classroom and beyond the classroom) has to be able to shape concerned individuals who can learn from human history and be more innovative than the box allows them, to be. Reforms in the education system are not to reform students…or to make them just expert technicians. It is to unsettle their minds, widen their horizons, inflame their intellects, and teach them to think straight. Kaveh.T: How do you evaluate the training facilities in Montenegro? Are the number of schools, kindergartens, libraries and training books compatible in acceptable standards according to the youths’ needs? Jasmina.K: Montenegro has 145 primary schools and about 70 kindergartens. I would single out two problems that Montenegrin society must pay attention: on the situation of the education of the Roma and handicapped children population. They are on the fringes of the society in its every segment. Therefore, the attitudes of the society toward the population group and also the attitude of Roma towards education, and many others obstacles need to change and removed, in order for them to be properly involved and enroll in schools. The Roma children are faced with the difficulties at the very beginning of their enrolment in schools. Often they are given a test in Montenegrin language, with which they are not familiar at such young age. Therefore, their scores are extremely poor, and those children are then sent to the special schools for children with some handicap. These schools are then full of Roma children who cannot get an adequate education, and the handicapped children are those who suffer as well, like not having enough space for the special care they need. Trying to establish lessons in Roma language, which are accepted by the director of some school, are difficult to implement. However, when it comes to its realization the factor of intolerance and rejection is often present. At the very end during the last ten years only the work of NGO’s and individual attempts were helping in this problem. And that now it is of great importance that a national strategy on this matter is established. For the handicapped children the aid was coming from abroad, but it was only pins of sardines or flour. No literature, no expert co- operation with Europe. Therefore, there was a lot of stagnation in this field. 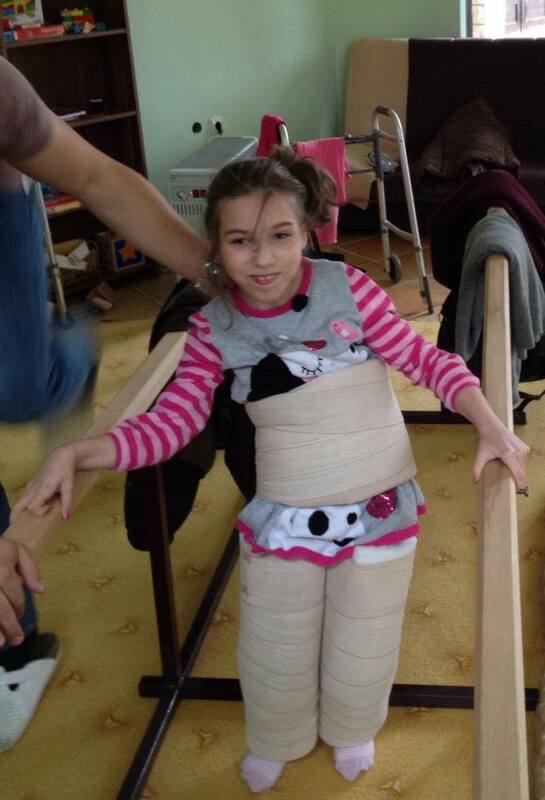 A school specialized for the handicapped children depend on the aid, offered by various humanitarian organizations. That children enrolled are usually coming from very poor families and therefore do not have enough money for a minimum of existence such as food, medicines, etc. (not to mention buying of textbooks, and other school material). Often, they are not just mentally handicapped, but extremely ill (diabetes, etc.). Last year these schools were receiving aid from organizations like the Red Cross and ISA. These children are constantly exposed to mental stress inequality with other peers. There has to be some education of the people about handicapped children. The handicapped children are sometimes placed in specialized classes in ordinary schools and in almost all the cases they are branded with names such as lunatics, specialists, morons, etc. It is not a rare case that people here, are ashamed of their children having disabilities in their mental development. And that they will do everything that is in their power not to send them to any of the special schools. I think that a strong media campaign and additional education needs occur in order to reduce these stereotypes in people’s minds. We need to explain to people that if their children are not enrolled in proper schools on time, they will suffer throughout all their lives. And never be able to enjoy a normal life, find a job, gain friends, etc. Kaveh.T: What are the important subjects and references to be taught in Montenegro’s education system? And are these subjects influence the cultural and social development in your country? -The values –confusion and practical failures generated by post-modern assumptions. -The complex implications of encouraging homosexual rights. 3. And not to choose any of the two mentioned if they do not want to. A researcher involved in that process concluded that values need to be presented in the context of a supporting world-view (e.g. a religion) and values taught have to be consistent with Montenegrin’s democratic system of government. However, there are some individuals and groups who want to insert religion into the educational system. Kaveh.T: Have the events of the last few years in the Middle East (including war and rebellion Extremist groups) affected the social situation of your country? Jasmina.K: Events unfolding in the Middle East are of deep concern. Certainly such events put fear in everybody’s hearts and fear for the future and additional chaos. A Montenegrin nation one is based on democracy and civil liberties, and we shouldn’t allow any serious threat to them. Since we are a nation made up of different religious communities, we all need to take responsibility for the security of this country and our citizens together. This is what is going to make our future and we cannot do that unless we are open and we are hard working. We need to build open and honest community. .Islamic “volunteers” came to our regions during the 1992-95 war, but they did not affect the outcome of any battles. They committed abominable atrocities. After the war, they flooded into Bosnia-Hercegovina with the illegitimate aim of forcing Muslims to “renew” their Islam by accepting the insane Wahhabi prohibitions against Mawlid, prayers to saints, maintenance of tombs, and popular Sufi observances. The mass of other Balkan Muslims despise the Wahhabis and will not accept their dictation. But Wahhabi, Muslim Brotherhood, and other radicals have used their money to corrupt the Islamic leadership, with very negative consequences. The Balkan Islamists supreme Ulema here are now viewed by ordinary believers as gangsters and enemies of the Muslims. Also, we cannot forget impact of 500 years of the Ottoman Empire occupation certainly has left its traces in these areas, inherited Islam. In order to global awareness about Islam and change the habits of the global media we must educate the world about moderate, traditional, and spiritual Islam. It’s a problematic ideology because in essence is anti-democratic and totalitarian regime, it demands subservience to Allah, not just from believers but from everyone. The worst trickery played in Turkey today is symbolized by Erdogan, who issued the policy statement, ‘Turkey is our mother in Balkan’ meaning that the Turks are our guardians and have a green light to interfere in our affairs and decide things on our behalf about Balkans’s Muslims. While a majority religion can be an ally of government or a tool of government, there are of course cases of a religion gaining control over government and effectively being government, and this often means religion policies dominating a society – especially ‘spread the religion’. This can mean other religions being oppressed and wars being encouraged or started against other religions. Christian Europe saw anti-heretic, anti-witch and anti-science oppressions and Jihad wars against ‘Infidels’ motivated by the religion. And where a poor society had substantial support for two or more religions then fierce civil wars have often resulted. We will see whether the consolidation of a radical Islamist government in Ankara, under Recep Tayyip Erdogan, will change the character of Balkans Muslims. I hope it will not. Kaveh.T: Montenegrin Muslims, being 18%, are the largest population of your country after Christians. Has religion affected your relations, social culture, traditions and norms? Jasmina.K: Religious beliefs have a strong influence on the culture of a community in Montenegro. Indeed, for many people in Montenegro, religious beliefs are central to their culture and provide the moral codes by which they live particularly rural areas. In generally it seems that the social impact of religions is tending to rise / fall as countries get poor/ richer, but much of the world does still remain in poverty with religions having much influence. In less-poor societies, religions generally are not supported as widely or as strongly as in poor societies, and many people will generally have less social problems also. Religions, whatever their form, can have major social impact in some societies – for good or for evil. Despite the assertion that faith is the basis of human nature religion has also played a role in wars and plays are that how it controls the human. I believe that religion has created conflicts between people including whole countries. Religion has the societal effect of dividing people into “us” and “them”. This unfortunately has the same characteristics as any other form of discrimination such as racialism. I do accept that there are massive people are seeking God, seeking meaning of life and so on, but if we just concentrate on the “Religious life and sciences ”only we will be stuck and not be able to move ahead. Where I come from, in Islam, the only concept of God is you submit to “Him” and you obey His commands, no examiner allowed. Examiner or even asking questions mean you raise yourself to the same level as God, and in Islam that’s the worst sin you can commit. The political side of Islam, the power-hungry expansionist side of Islam need to be characterized as an ideology that inspires Jihadist and totalitarianism and because of this has to be sanctioned. Kaveh.T: In the end, please give us your opinion about social security, quality of life and job security in your country. Jasmina.K: I would say in order to preserve civil liberties in Montenegro ,some Muslim schools, some of which are institutions of fascism that teach innocent kids 5+6 year old( proved with facts brainwashing ) that Jews are pigs and how to punish the infidels and non-Muslims, don’t allow such schools. Close them down. Yes, that sounds absolutist. I think ten years ago things were different, but now the Jihadi as threat, we must be careful. Finally, you have a situation where other Montenegrin Muslims are not saying much about the actions of the radical sects of their faith. I am not saying they should apologize for some group’s actions, but they almost never speak out against it. That is condemning. We need to open that dialogue. Our foreign policy should be guided by understanding and admitting the realities: We are engaged in a war of ideas, with an ideology. Only by facing reality, we will be able to recover our civilizational self-confidence. Of course, mankind has made mistakes– but cannot be feared to go through painful self- examination. However, I am an optimist. 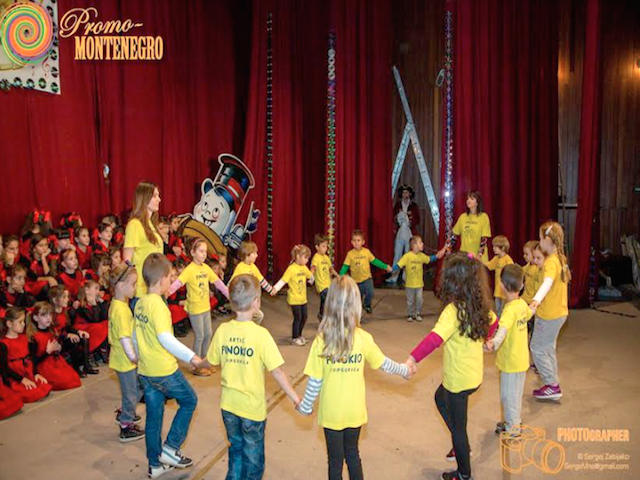 There is a moral force for good steps in Montenegro which involve education of children and youth. I believe that education should be an empowering process that allows and guides children to develop their passions, critical thinking, compassion, and orientation towards wisdom for timely action. In other words, self-cultivation should be the purpose of education. Lifelong learning is a process we all participate in, knowingly or unknowingly, in each and every moment. We are all interconnected with each other and with nature’s systems. Human universals bind us together as one great global human family. The Human Universal called “the ethic of reciprocity,” also known as “the golden rule,” expresses itself throughout the world in varying degrees, through phrases such as, “Do not do to others what you yourself hate,” “Do to others what you would want done to you,” “Regard your neighbor’s gain as your gain, and your neighbor’s loss as your own loss,” and “Love your neighbor as yourself,” to name a few. If one generation of children were to be educated with this natural law of love and unity as the basis for all decisions, approaches, and mentalities, just imagine the impact. Maybe then someday we would stop fighting over my space – my country – my religion & would actually be in a position to achieve the universal goal of one world – one family!